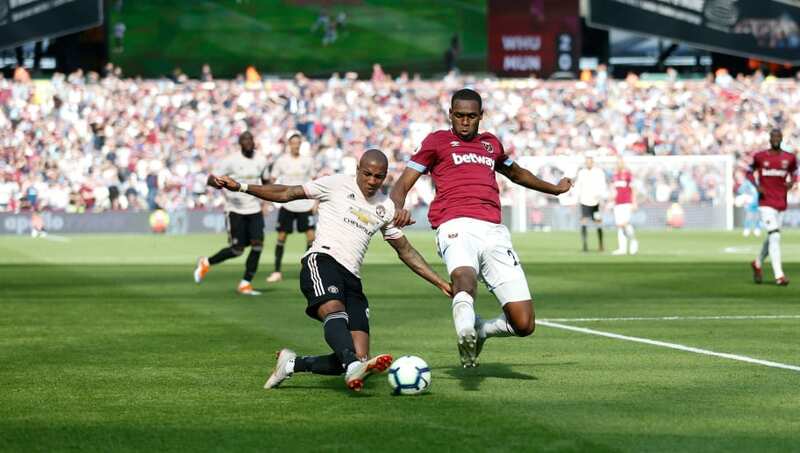 ​​Manchester United host West Ham United at Old Trafford in the Premier League this Saturday as they continue their push for a top four finish. Though ​United have lost two of their last three fixtures in the competition, the work Solskjaer has done to give the team a fighting chance should not be underestimated. Opponents ​West Ham were a mere two points behind the Old Trafford side when he arrived, with the gap now expanded to 19. The Hammers' campaign has been characterised by inconsistency, with the club recording excellent home victories against ​Chelsea, ​Arsenal and United earlier in the year whilst also frustrating supporters with some dire showings, including a 4-2 FA Cup defeat at relegation-threatened League One outfit AFC Wimbledon. They currently sit in 11th, five points off of ​Leicester City in the final Europa League qualification place. Left-back options Luke Shaw and Ashley Young are both suspended for the clash. The former picked up his tenth yellow card of the ​Premier League season against ​Wolverhampton Wanderers last week, the same match in which Young was dismissed for two bookable offences. ​Manchester United ​De Gea; Dalot, Lindelof, Smalling, Rojo; McTominay, Pogba, Fred; Lingard, Rashford, Lukaku. ​West Ham United ​Fabianski; Zabaleta, Diop, Ogbonna, Cresswell; Snodgrass, Rice, Obiang, Anderson; Arnautovic, Perez. The hosts suffered a 1-0 loss at home to ​Barcelona in midweek, after Shaw inadvertently deflected a Luis Suarez header beyond his own goalkeeper. They looked toothless during the ​Champions League quarter-final clash, failing to register a single shot on target. The team have endured a miniature slump in recent matches, falling to successive defeats at Molineux in the league and FA Cup. Those failures sandwiched an unconvincing 2-1 victory over ​Watford in which the Hornets dominated proceedings. The Hammers have hardly had an enjoyable time since the return of spring, losing three of their last four fixtures. They were insipid during a 2-0 defeat at home to ​Everton, a chorus of boos emanating from the stands as the Toffees made the contest look like child's play.